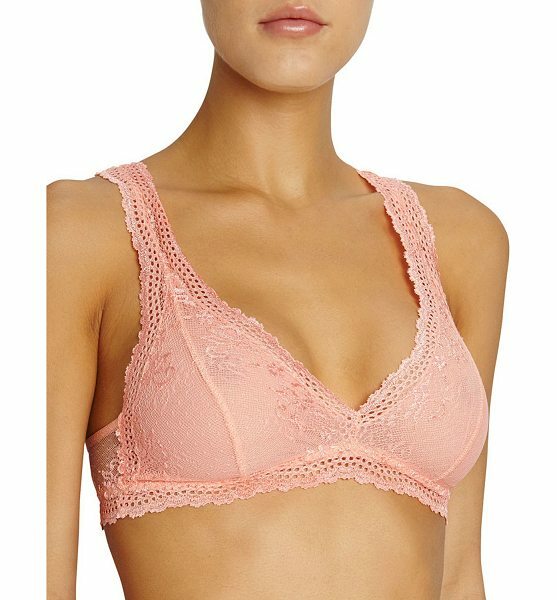 Eberjey "Colette" racerback bralette. Semisheer non-wire cups with vertical seam for uplift. Scalloped straps. Lays flat against body for seamless finish. Pullover style. Nylon/spandex. Imported.